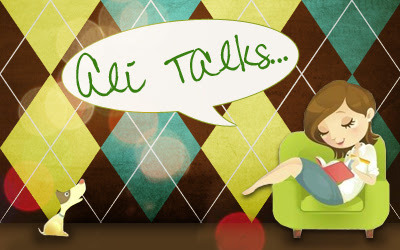 Ali Talks is where I get to share my thoughts on different subjects from blogging to read and even sometimes life itself. 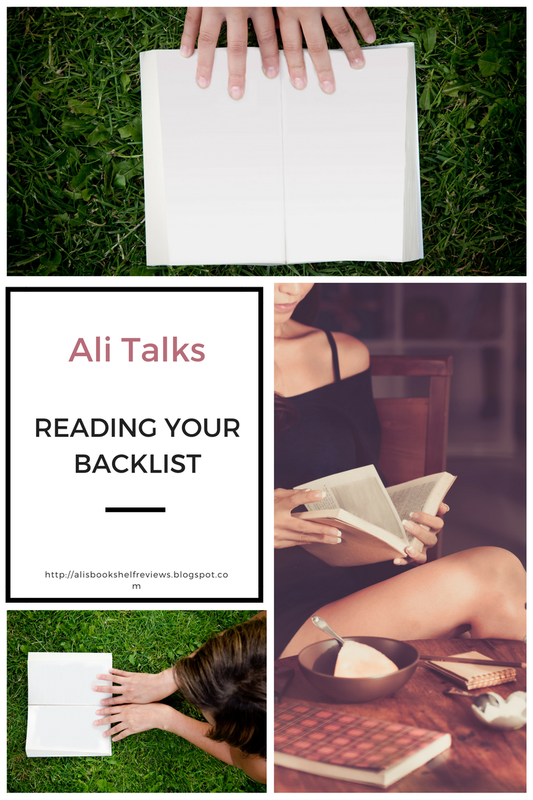 So let's get to it, today I want to talk about reading our backlist. You know those books that have been sitting on our shelves for years and we really meant to get to them but we haven't. This year I made a goal for myself to do just that, to read the books that are on my shelf and ones that have been there for awhile. I can't say that I've really done much of that, but I am starting in April to read more of the books that are on my shelf. My TBR shelf is really getting rather large and overflowing with books that I once said I really want to read soon and now they just sit there. It makes me sad, so again I'm telling myself it's time to read those books. Am I the only one that do this? My excuse is always "There are just so many amazing books coming out this year so the other ones will be read later." Or I'll say "I'll read that one next." Then of course another amazing book is released and the cycle starts all over again. Please tell me I'm not the only one that does this. I really want to get out of that cycle though and I have a plan to start at least reading one book that's sitting there every month from now on. I won't be posting a TBR post for these, just like I've been saying all year, no TBR posts will be made, but I plan to read books on my shelf. I did create a post about the books that have been on my shelves the longest. You can find that post HERE. So hopefully you all won't mind seeing some older books in my reviews. This is actually a goal that I have set a few times in the past, I'm just hoping I can stick to it this time. But at the same time, I'm trying to keep reading fun this year, so I think I'm going to just pick up the books without re-reading the back cover or summary. I've found that makes it better when reading. So that is my plans for reading my backlist of books, how do you handle those books sitting on your shelf for so long?